Our tour of Brazil continues. After posting the moqueca recipe, several of you asked if I had a recipe for Pão de Queijo, or Brazilian cheese bread, sort of like a chewy cheese puff made with tapioca flour. As a matter of fact, I do! My friend Bill gave me this recipe years ago, a favorite from his Brazilian wife Silvia. I’ve made it several times, each time with different cheeses. Talk about addictive! I’ve cut Bill’s original recipe down to just a third, because if I actually made a full batch (48) I could conceivably eat them all. There are several ways to make Pão de Queijo. One method includes cooked potatoes. One method is sort of like a pâte a choux in which you cook the dough first. The quickest, easiest, short-cut method is what I describe here (and the only way some of my Brazilian friends make it). You put the ingredients in a blender. Pour them out into a mini-muffin tin, and bake. The beauty of this recipe is that you can make a big batch of batter and just store it in the refrigerator (for up to a week), pouring out just as many mini-muffins as you want to eat. You can even cook them in a toaster oven. The recipe as presented is fairly basic. Feel free to dress it up a bit with herbs or spices of your choice. *It helps when baking with eggs to start with eggs at room temperature. If you don't plan ahead (that would be me, usually) you can put the egg in a bowl of warm water for a few minutes to gently take off the chill of the fridge. One 24-well or or two 12-well mini muffin tins. 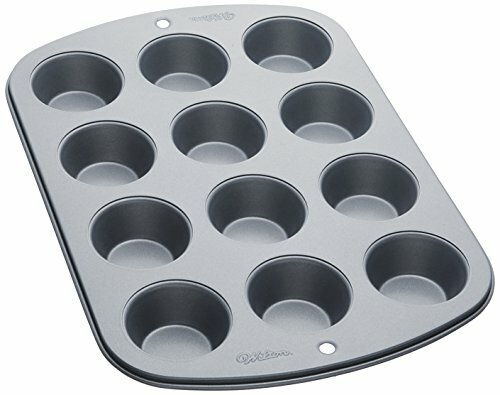 Mini muffin tins are about half the size of a regular muffin pan. The muffin openings are about 1-inch deep, and 1 3/4 inch wide at the top. 1 Pre-heat oven, prepare mini-muffin tin: Preheat oven to 400°F. Spread a small amount olive oil around the insides of each well of a mini-muffin tin. 2 Blend ingredients: Put all of the ingredients into a blender and pulse until smooth. You may need to use a spatula to scrape down the sides of the blender so that everything gets blended well. At this point you can store the batter in the refrigerator for up to a week. 3 Pour into mini-muffin tin: Pour batter into prepared mini-muffin tin, not quite to the top; leave about 1/8 inch from the top. 4 Bake: Bake at 400°F in the oven for 15-20 minutes, until all puffy and nicely browned. Remove from oven and let cool on a rack for a few minutes. Note that Brazilian cheese bread is very chewy, a lot like Japanese mochi. Hello! All photos and content are copyright protected. Please do not use our photos without prior written permission. If you wish to republish this recipe, please rewrite the recipe in your own unique words and link back to Easy Brazilian Cheese Bread on Simply Recipes. Thank you! Put the tapioca flour in a bowl. Add the potato still hot using a potato masher. Add salt. Mix very well using your hands. Add milk and continue working the dough with your hands. Add vegetable oil. Continue working. Add the grated cheese, and at last the eggs. Add 1 teaspoon of anise seeds for a special touch. The dough needs to get very silky and be moldable. If it is breaking, add one more egg. Make little round breads, and bake at 450ºF for 20 minutes. The dough can be frozen. If i use the batter from the fridge. Do i need to leave the batter till it is not cold before bake it? I’ve made these several times now and love them. I usually use feta cheese for savory flavor. I’ve also used cream cheese, substituted coconut oil for olive, and topped with powered sugar for a sweet almost cream filled donut like bread. I’m making tomorrow and wondering how I store once they are baked Thanks. Hi, Katey! Leftover puffs can be kept in an airtight container in the refrigerator for up to 1 week and re-crisped in a warm oven or toaster oven. Amazing recipe! So easy to follow but you would never guess it from the results. I feel like a professional baker every time! Plus I have tried it with many different types of cheese and miraculously it turns out great e-v-e-r-y time! Thank you! These are so great, but sometimes (because I make so many) there are some left over. I’m wondering if anyone has tried to freeze them and if so, how do you reheat them best after they thaw? Thank you! Hi, Carrie! I’ve never frozen the baked puffs, but theoretically, I think that would work ok. I’d just warm them up in a low oven or a toaster oven, straight from the freezer. (I think thawing them beforehand might cause them to become soggy.) You can also keep the baked puffs in the fridge for up to a week and the re-crisp them in a low oven or the microwave. As a third option, you can scoop out the dough onto a parchment-lined baking sheet, freeze, and then transfer to a freezer bag for up to 1 month. Bake from frozen just as you would fresh. Enjoy! I have frozen them and they were great once defrosted. I didn’t reward them as we only had three frozen as an experiment. Ate them at room temperature. I’m sure you could put them in the oven for a few minutes to reward. Have been wanting to make it and finally did it today. Did exactly as recipe and put Gouda cheese. It was very good. Thank you so much for the recipe! I love it!!! My kids love it!!! Hi, Teresa! We don’t currently calculate nutritional information on our recipes. I’d recommend using an online nutritional calculator like this one. Thanks! This recipe is great!! Simple and delicious! Absolutely addicting! The only issue I had was the inside being almost too chewy or I would say, tapioca-y? How would I fix this? 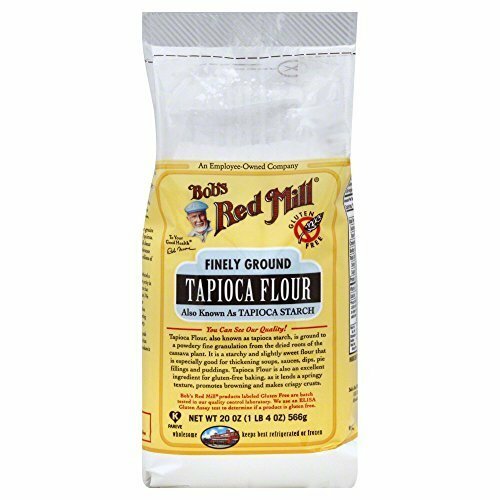 Less tapioca flour? Help! Thanks. Hi Anthony, hmm, maybe bake them a minute or two longer? Hi Dana, the mixture is very wet, so I’m afraid that if you put it in a food processor it will leak out. I think this recipe is easy and the bread comes out tasting delicious. My bread puffed up on top but the bottom looked like it collapsed, not as airy as I thought it would be. I followed the recipe exactly… do you think it would be a good idea to leave the batter at room temperature before pouring it in the muffin tray? Hi, Christine! So glad you liked the recipe! For more puff, yes, let the batter come to room temp before baking and also whisk or blend it again to get some air in there. You might also check your oven temp and/or pre-heat your muffin tin in the oven for a few minutes so that it gets hot. These breads puff thanks to a combination of the heat of the oven and the rapid evaporation of the moisture in the batter, so adding air and heat can help! I’ve made this recipe twice already this week! Fogo de Chao is my husband’s favorite restaurant since he lived in Brazil for a couple years in his 20s. I’ve tried several pao de quejo recipes, and this one is the best :) For the first batch, I used cotija cheese– I assumed it was pretty close to the cheese used in Brazil. For the next batch, I used half cotija and half asagio. Both tasted great. Delish. I used grated pecorino romano and served with butter. I also used a full sized muffin tin with liners, poured in less and it came out very tasty. I also made these with feta and a separate batch with Trader Joe’s Goat Milk Gouda. Yum! They were so delicious… I refrigerated some batter .. do i let it sit for awhile at room temperature? Hi Isabel, no need to let sit at room temp. You can use it directly from the fridge. Great recipe! Based on other comments, I generously spray my mini muffin pan with cooking spray, have all ingredients at room temp and use a mix of cheeses – fresh farmers, reggiano parmesan and fresh mozarella and I add a little extra salt. They puff up beautifully. My kids love them. We eat these like popcorn! Delicious! Made exactly as written and they were perfect. My Brazilian friends gave 100% approval!